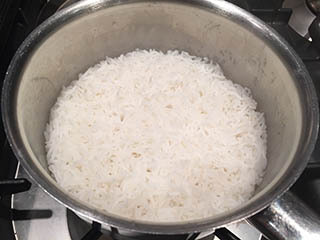 To cook perfect rice you need twice the volume of water to rice. 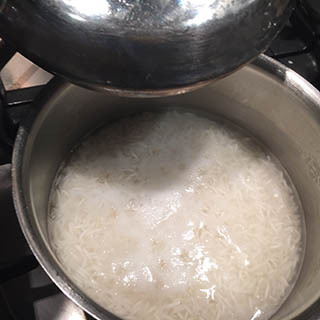 I use a cup to measure the rice adding twice as much water by volume but you can also do it by weight. 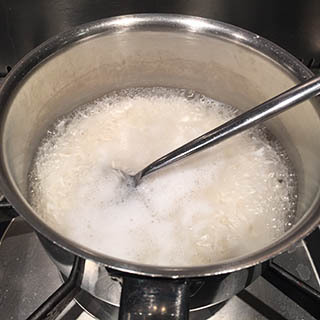 For 1 portion of cooked rice use 125g rice and 250ml water. 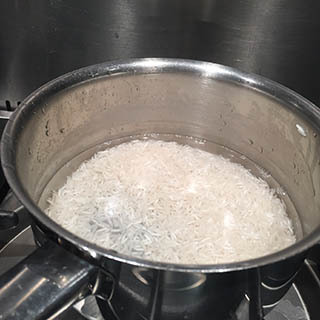 Place the rice in a sieve and rinse under cold running water until the water runs clear. Place in a pan and add the measured water. Bring to the boil and add a generous pinch of salt, stir well. Cover with a tight fitting lid and reduce the heat under the pan to as low as possible. Cook for 10 minutes by which time the water will have been absorbed. Allow to stand for another 2–3 minutes. Do not be tempted to lift the lid during this time. 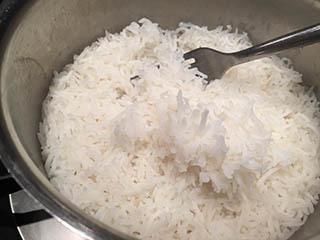 Fluff up the rice with a fork and serve. 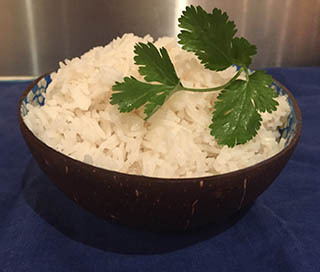 Coconut rice – for a simple variation, add 2 tsp coconut milk powder with the salt.